Students in Ms. Anne Comiskey’s Law Studies class received real world experience from guest lecturers Dean Mary Garvey Algero and John Sudderth. Algero, a 1982 Dominican graduate, is the Associate Dean of Faculty Development and Academic Affairs and Warren E. Mouledoux Distinguished Professor of Law at Loyola University. She directs the Legal Research and Writing Program and co-directs the Westerfield Fellows Program. She presented to the class the Socratic method, the type of instruction they would receive in law school. Named after the classical Greek philosopher Socrates, the Socratic method is also known as maieutics, method of elenchus, elenctic method, or Socratic debate. Elenchus is a form of cooperative argumentative dialogue between individuals, based on asking and answering questions to stimulate critical thinking and to draw out ideas and underlying presumptions. 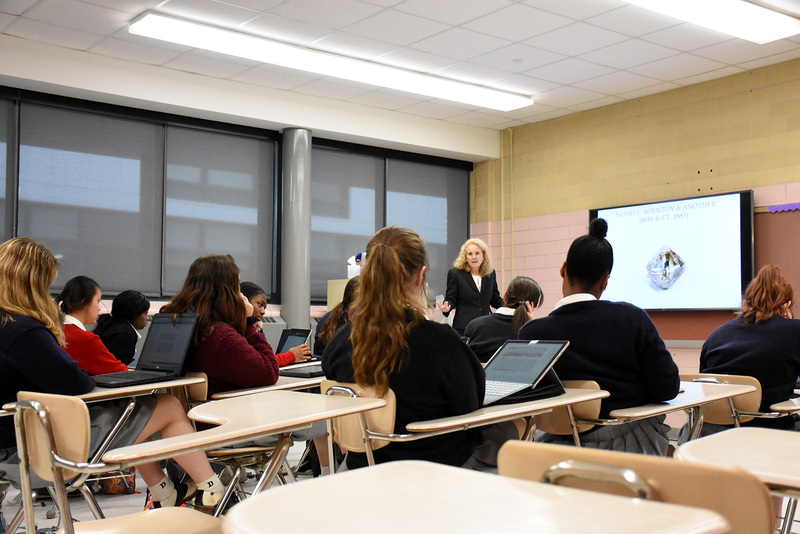 “This helps the students learn how to prepare and analyze using their own thoughts and perspectives which will then help them prepare for college,” noted Ms. Comiskey. Sudderth, began his career as Assistant Attorney General in the New Orleans. He later entered private practice in the areas of criminal, civil, and domestic law. He shared with the students his experiences representing both plaintiffs and defendants in civil law. 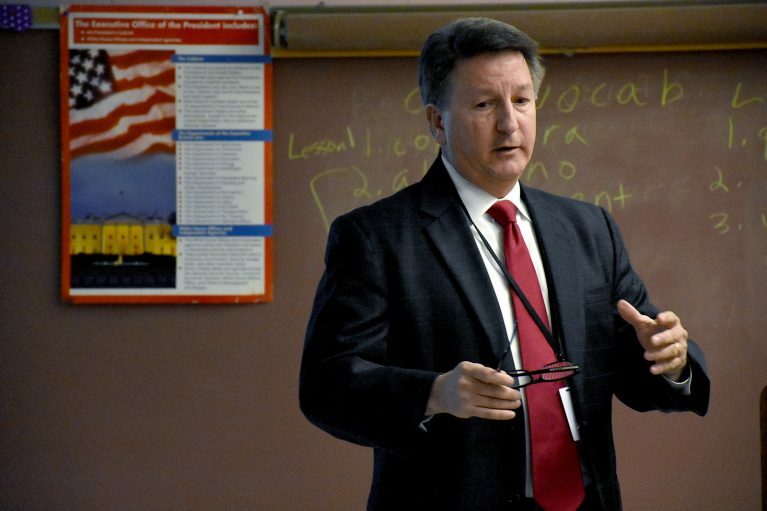 “The students will understand that even if a person is accused of a crime and is highly likely guilty, they still deserve a fair trial,” said Ms. Comiskey. 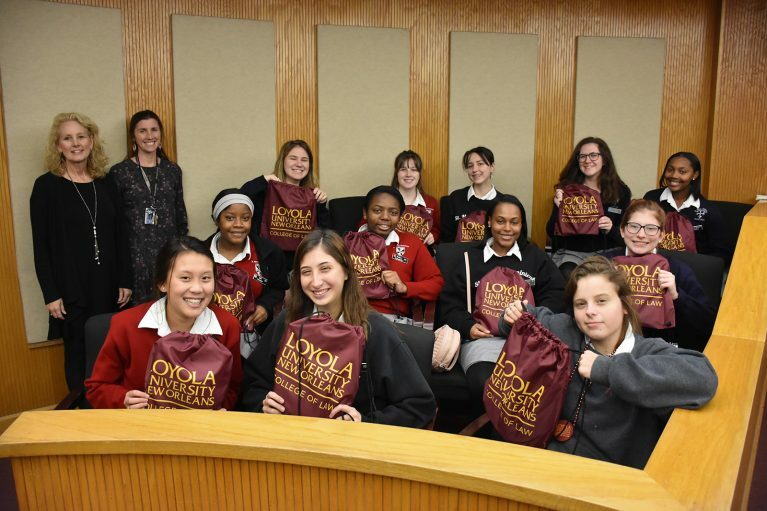 The class also visited Loyola University’s Law School for a guided tour. The visit included attending presentations on a variety of subjects, including present-day Louisiana law and the law school experience. Three Dominican alumnae who are current law students shared their paths and journeys to and through law school. The students concluded their visit with a tour of the Moot Court Room and the L. Stuart H. Smith Law Clinic and Center for Social Justice where law students work on behalf of clients who are unable to pay for legal services.